The Black Mamba Impact Protection Gloves PR-IPT are heavy duty impact protection gloves designed to provide effective impact protection to hands while still giving you the dexterity and comfort you need to do your job. 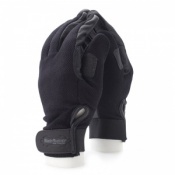 The Impact Protection Gloves are supplied as a pair. Using thermal plastic rubber, the gloves provide effective impact protection where it's needed most, while still enabling your hand to function freely. This rubber padding can also be found on the gloves' fingers, helping you keep your digits protected from harsh impacts. For even more safety, the gloves also feature a high-visibility yellow colour, making them ideal for use in lower-light conditions where being seen is important to your safety, such as at the side of a road. As well as providing effective impact protection, the gloves are also incredibly comfortable to wear. The glove's polyester liner makes the glove feel comfortable and also provides you with the dexterity you need to get the job done. 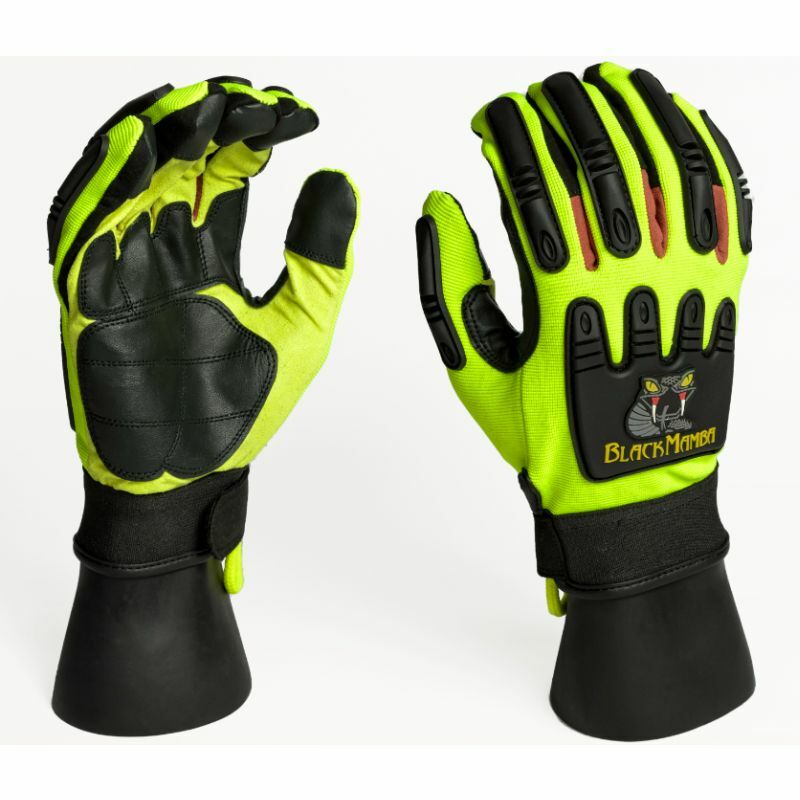 The glove also offers protection against hand fatigue and abrasion, helping you keep your hands comfortable as you work. 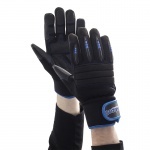 The glove's synthetic leather palm makes gripping objects easier, and combined with the adjustable elastic Velcro strap also gives you a tailored fir, making the gloves even more comfortable. The impact protection gloves are suitable for a range of industries and uses where hand protection is needed. It's fantastic for use in the automotive industry and by mechanics, where hands typically take a lot of punishment. The Black Mamba Impact Protection Gloves PR-IPT are available in sizes Medium to Extra Large.